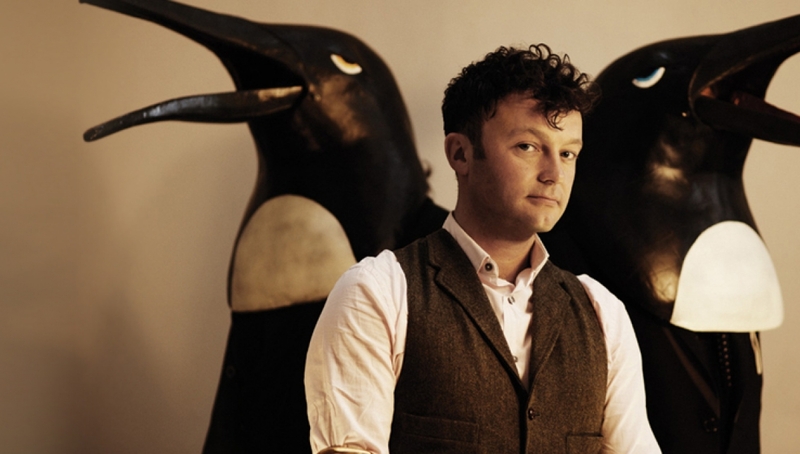 Penguin Cafe’s music has infiltrated daily life, from films like Napoleon Dynamite to countless theme tunes, while they’ve played major festivals and venues ranging from Bestival and The Big Chill to a sold-out Royal Albert Hall as part of the BBC Proms. Their sound is at once familiar and new, combining acoustic power and a beguiling, feisty charm. Following a UK tour last year and performances across Japan and Australia, Penguin Cafe released their new album The Red Book in February. The second release from the freshly re-imagined Penguin Cafe is the culmination of two years’ work that has seen Arthur Jeffes – son of original composer and Penguin Cafe Orchestra founder Simon Jeffes – investigate whole new areas of sound and vibrancy, alongside his eclectic collection of musicians and characters, marking an ambitious extension from their debut A Matter of Life.